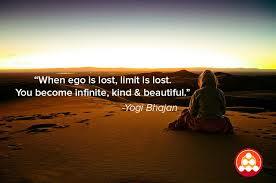 Our Ego holds onto everything and anything, no wonder it is so hard to shake it off. Like a thick coat of mud from a bog of abomination, it sticks itself to our unconscious mind with a grip as tight as a vice. The thoughts and feelings of our negative mind are able to get under our skin, in our heart and somehow the pessimistic thoughts wrap around our legs, feet and toes. Our Ego hinders us from walking in the shoes that we are meant to truly walk. The Ego is so fearful that we might catch onto it’s evil ways that it tries to delude us in any way possible, telling us stories that are so untrue. Our Ego is a masterful lier, it spins tales of deception, all the while with a smile on it’s ugly face. Why do we believe what swirls around our head, why are we so vulnerable to our Egos duplicity, treachery and fraud? Something has happened in our life and it leaves an impression, one that runs deep within our veins. We think we have dealt with the emotional responses that this something created for us, we tell ourself that we are over it, but the fact is deep deep down inside of our Soul we are not. One day when the Universe recognizes you are ready, it will be time to authentically begin the healing process from our wounding, you will be given an opportunity to face your Ego. A stand off will begin, your Ego and your Soul will engage in a battle, a battle to become more conscious is at stake. What you must remember most of all about the war that is ragging inside of you at this time, is one very important detail. This detail is your warrior sword, the weapon of all weapons, and it is your belief that the Ego and it’s trickery ways are not real. The war you are fighting is only with yourself you see, because the Ego is only an imaginary force that has built itself up over time, feeding only the energy that you give to it. If you stopped nourishing your mind with the drama the fear creates inside of you, the Ego would shrink and you could allow yourself to be whole once again. Be one with the pain, don’t push it away, for it is only when you face what is crippling your life, will you truly be able to overcome it.